Patch 1.0.2 (OS X) - The patch only applies to the retail OS X version and the OS X demo, not the Windows or OEM version. If your Mac came bundled with THPS4, do not install this patch. 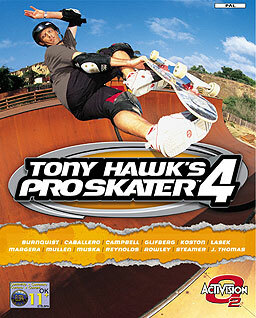 Launch the game using Skate4.exe. FSAA only. Force MSAA in the graphics card control panel. Stuttering may be present above 60 FPS. Cap the frame rate at 60 FPS. Create wndmode.ini and start the game. Click on "Save settings and quit" to create config.cfg. The game can now be launched from Skate4.exe correctly. This page was last edited on 29 November 2018, at 07:49.